A Punctual Gift (Hadiah yang Tepat Waktu) - Life's Never Boring Beibi! 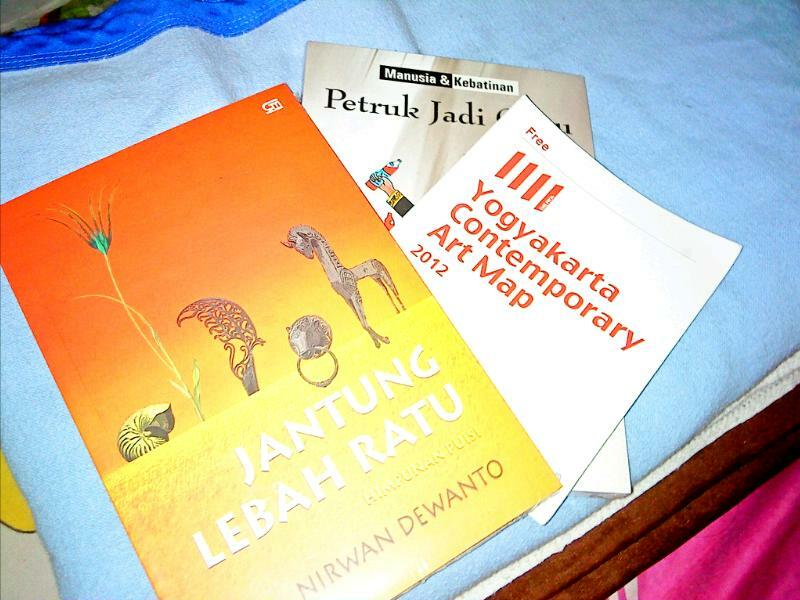 Kat asked me and Rendy to meet in Lir, comfortable corner with mind-catching tagline [Books | Resto | Curiosities]. Got introduced with the owner, Dito and also Antariksa, chingu from Kunci. Silaturahmi always bring joy and at this time, those bliss really on my side. Kat gave me books and map (yay!) because she read on my previous post in this blog that I have difficulties for having them in nowadays. I really surprised, especially for the map. It will be my guidance and early target for my promenade here. Just need a second to take a look and the passion to this city was sizzling to the bone. Haha. Hope I have a time to bear and share it all to you. Thanks a lot Kat!